He was born in Birmingham, England and is recognized by some historians as a world bantamweight champion. Nicknamed, "The Fearless," Moran utilized an attacking style and strong punch to meet and defeat many of the top fighters of his era. A pro in 1900, he scored a win over George Dixon and drew with Jim Driscoll before traveling to the United States to twice draw with Abe Attell in 1908 featherweight title bouts. Moran caused a stir when he knocked out former lightweight king Battling Nelson in 11 rounds in 1910. 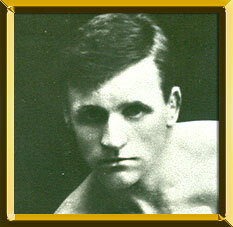 During his career, Moran tangled with such top fighters as Packey McFarland, Harlem Tommy Murphy and Charley White before retiring in 1916 with over 100 fights to his credit and the reputation as one of the finest fighters ever produced in Britain. He died March 17, 1949 in Birmingham.